Introducing our new bottomless dinner offer at Bow Lane Social. The Free Flow Supper Club! Its the offer of the year! Dine out on a brilliant value two course dinner for 20 euros or a three course dinner for 25 euros then “bolt-on” bottomless prosecco, house wine, Beers, Seasonal Margaritas, Southside Strawberry Gin, Bow Lane Boomerang, Bloody Mary for only 30 euros extra per person. 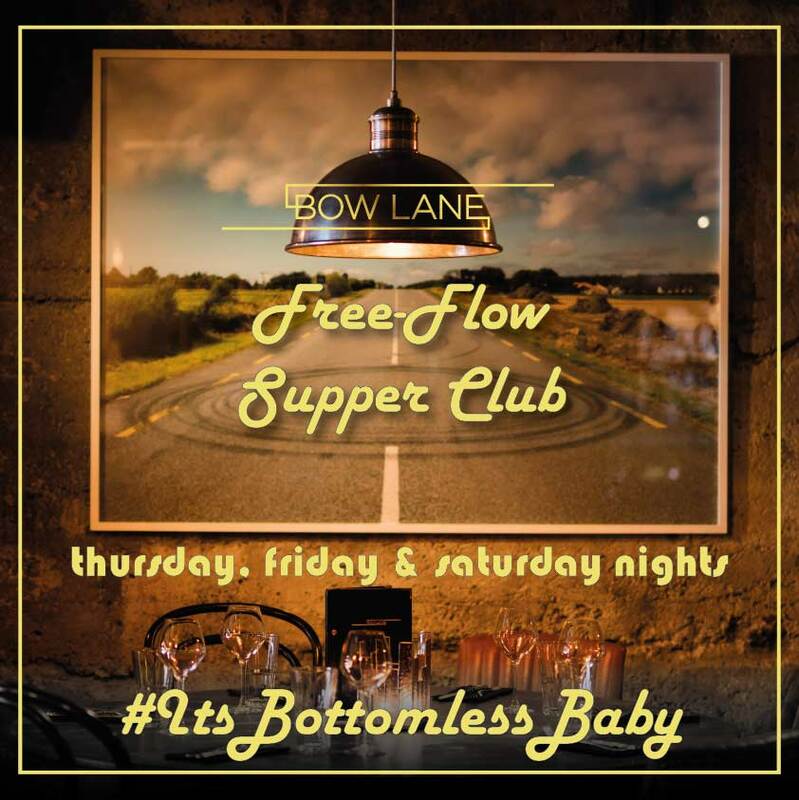 The Free Flow Supper Club is the perfect match to Bow Lane’s good time vibe with Dublin’s best DJs knocking out the tracks and great service from our fun-loving staff. We are happy to accept enquiries for Free Flow dinner from work’s nights out, hospitality staff, birthday parties, hens n stags and anyone looking for great craic and a good time at a great value for money. There’s just a few Ts & Cs: No chugging, we want you to walk out not fall out. There’s a two course dinner minimum per person and there’s a 2 hour maximum sitting time.